Get that toned figure in time for Summer! Sports Illustrated Swimsuit Model Nina Agdal Shows off her toned figure and were all picking up our jaws from the floor! The 27 year old model did numerous interviews about her eating and work out regimen with Harpers Bazar magazine sharing her food diary and says "You have to have 11 blueberries every day, it makes your brain sharper" We love the way that Nina shares her food, workouts and is not shy at all and just basically says in a Fox News Interview "Posing in skimpy swimsuits for the world to see does require confidence, but she insisted anyone can be comfortable in their skin with the help of a healthy lifestyle and simply embracing who you are, so-called flaws and all." You Too Can Experience the Oprah Avocado Effect! 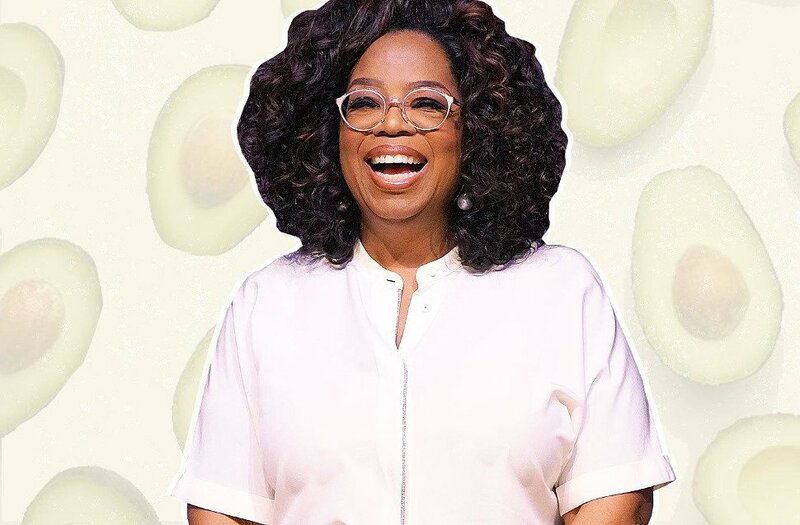 The latest trend and news right now is Oprah purchased an Avocado Orchard because “"It was ridiculous to pay for avocados!" – Oprah Winfrey here; The Queen of media is onto something and we all can learn a thing or two from the Billionaire media mogul. You can have the Oprah experience of fresh home grown Avocados with what- ever space you have, any weather condition and not ever have to pay for the golden Green goodness too! Avocados are heart healthy and a greater source of potassium, loaded with fiber and tastes amazing! Here are amazing varieties of Avocados to choose from! The Avocado: Used to make fresh guacamole for that crispy tortilla chip and a necessity for the beloved Avocado Toast. This fruit seems to be thriving for its excellent taste and creamy texture but is it time to turn away from such an adored produce? 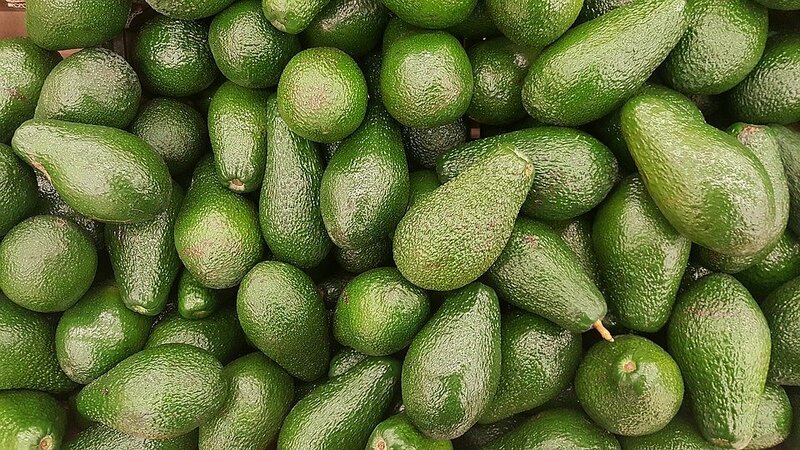 On March 23 Henry Avocado, a grower and distributor recalled whole avocados from six states (California, Arizona, Florida, Wisconsin, North Carolina, and New Hampshire) because of a listeria concern. Many people are worried and want answers. What caused this outbreak? Why is this a problem? The California packaging facility was found positive for Listeria Monocytogenes and while not found on the avocados, the company decided to play it safe and recalled the fruit. Listeria (Listeria Monocytogenes) is an infection that can be very harmful to pregnant women and people with weak immune systems causing fever, muscle aches, as well as a stiff neck and convulsions if spread to the nervous system. A simple way to make sure bacteria stays away from our avocados is to spray them but that’s the responsibility of the farmers, isn’t it? Well, what about the consumer? What should we do? Just enjoy the fruit? No. Like it's their responsibility to spray and care for the fruit it's ours to wash it properly. You should run the fruit under hot enough water to kill any bacteria but if you still don’t trust the produce after cleaning it yourself then why not grow one yourself? You can purchase already grown avocado trees which will continue to grow but to do that you need to take care of it properly. Watering it, using the right soil, taking care of those unwelcome visitors are responsibilities all green thumbs have but we promise it’s not impossible or hard, it just requires effort and attention. Are we crazy for suggesting this? Growing a tree? Really? You are giving us this solution? Well, no. The solution we are giving is to wash the fruit you buy but this is another alternative. We said many of these tips when we were on Fox and Friends but here we will focus on what specifically avocado trees need. As a summer fruit it’s a perfect time to plant your avocado tree (unless you live in a colder climate)! 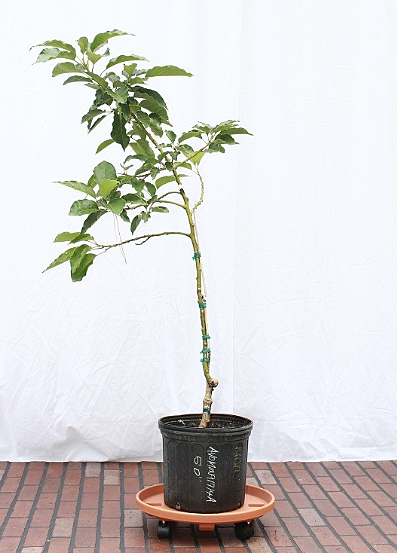 Avocado trees can be planted inside your home or outdoors just make sure the temperature is right. If it becomes less than 45° Fahrenheit outside make sure to bring the plant in. This fruit isn’t a fan of the cold. Full Sun. Maximum sunlight. Avocados love the sun! The more the better! Choosing the right soil is very important. Every plant needs a specific kind or one with certain qualities. 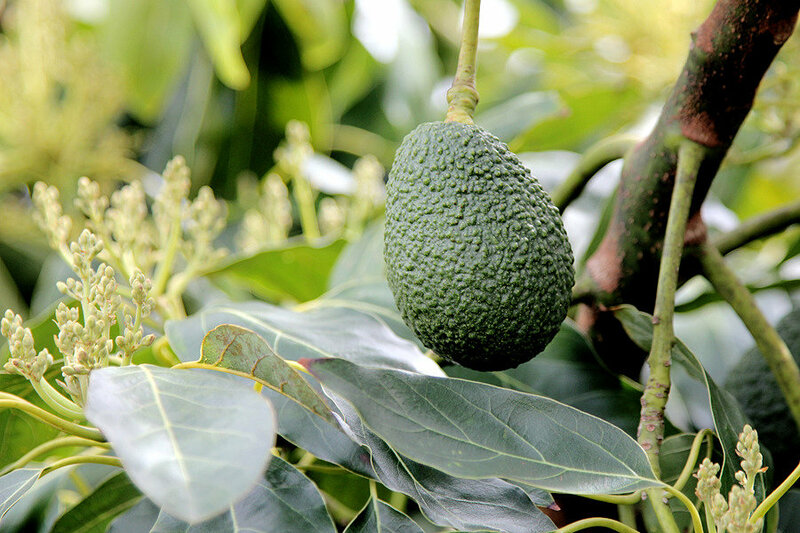 For avocados, soil that can drain easily and have higher nitrogen relatives to phosphorus and potassium are the best. Humus fertilizer is a good choice. When it comes to avocados you have to make sure the soil is always moist but not soaked. Avocados need not too much or too little water. It may be a slightly difficult to figure out if it’s watered properly. You can check by simply taking soil a few inches down the tree and squeezing it. If it stays together it doesn’t need more water but if it crumbles it’s time to give it a drink! Also, if you see the leaves turning yellow then you are watering it too much. Avocado trees actually help purify the air. Unfortunately, many of us know what “dirty air” is like and it isn’t pleasant. So, adding a tree to your home is sure to help when you feel the air is too heavy. Growing a tree takes time and effect. The best tasting fruit are the ones deeply cared for. While we can’t stop poor weather conditions or outsides forces that can damage the tree it’s important to do whatever we can. Currently, the company is cooperating with health officers to complete the recall of these avocados to ensure the safety of their customers. Of course, we wish this didn’t happen in the first place but don’t let this stop you from using a creamy avocado in one of your recipes, growing one yourself, or purchasing some from the store. We’re getting close to being a quarter of the way through 2019 and it’s fixing to be a big year for fruit. Not only because more people are likely to name their children after fruit (and vegetables), but because there are numerous fruits set to take a popularity jump this year. 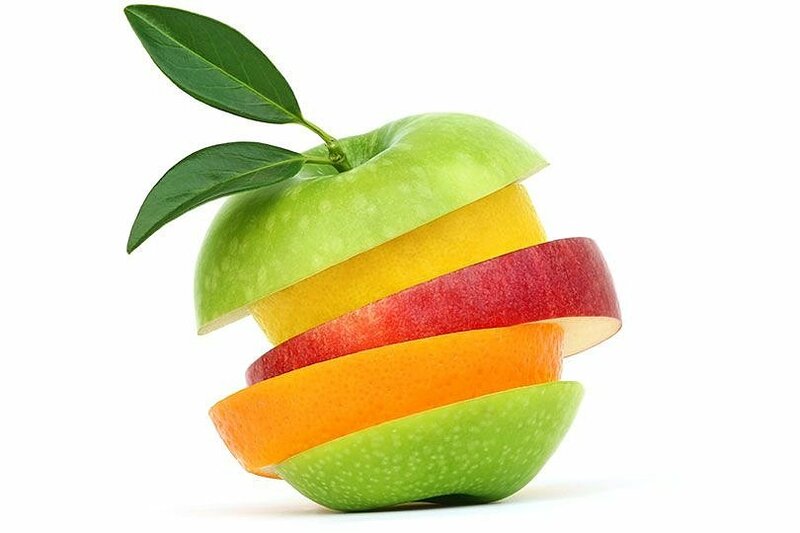 If you haven’t already incorporated an off the beaten path fruit into your diet or are unsure where to start, take a look at four fruits that are set to trend in 2019. They often say there are two kind of people in the world, those with green thumbs and those without green thumbs. OK, well maybe it’s not the most common saying, but it certainly can be true! Managing a garden is hard work: lots of watering, constant maintenance, fighting weeds and maybe your pet from digging up all your hard earned work. Fortunately, there’s a project that everyone can take part in: planting a tree. Planting a tree is a bit more straightforward than some complicated flowers and it has numerous benefits besides just making your garden or yard look nicer. 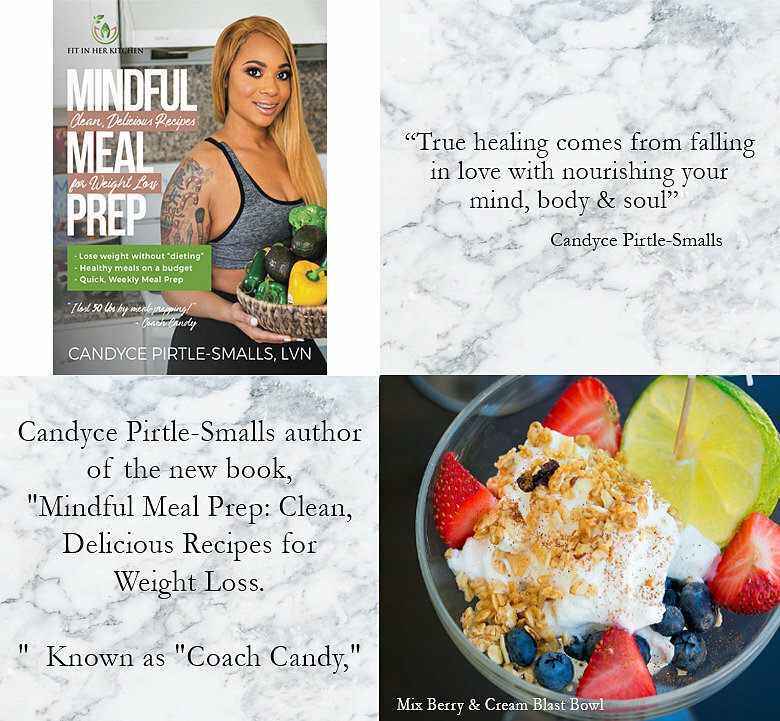 Author and Founder of Mindful Meal Prep Candyce Pirtle-Smalls shows you easy, practical clean eating done with real food! Clean eating doesn't have to be difficult. With these guided and easy clean, healthy recipes using fresh #PlantOGram incorporated fruits, Backyard to table never tasted so good! 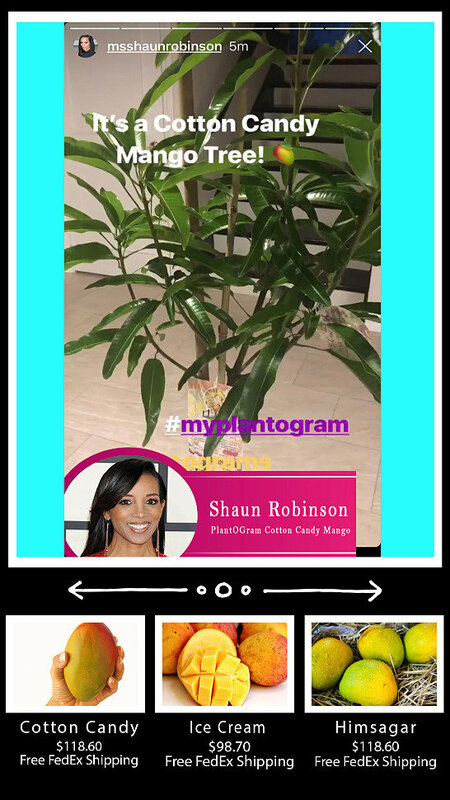 Shaun Robinson took to Instagram to show off her Cotton Candy Mango tree from PlantOGram. We are happy to see the long time host and Emmy-award winning journalist so excited about her tree! DJ Khaled is on board the PlantOGram train! 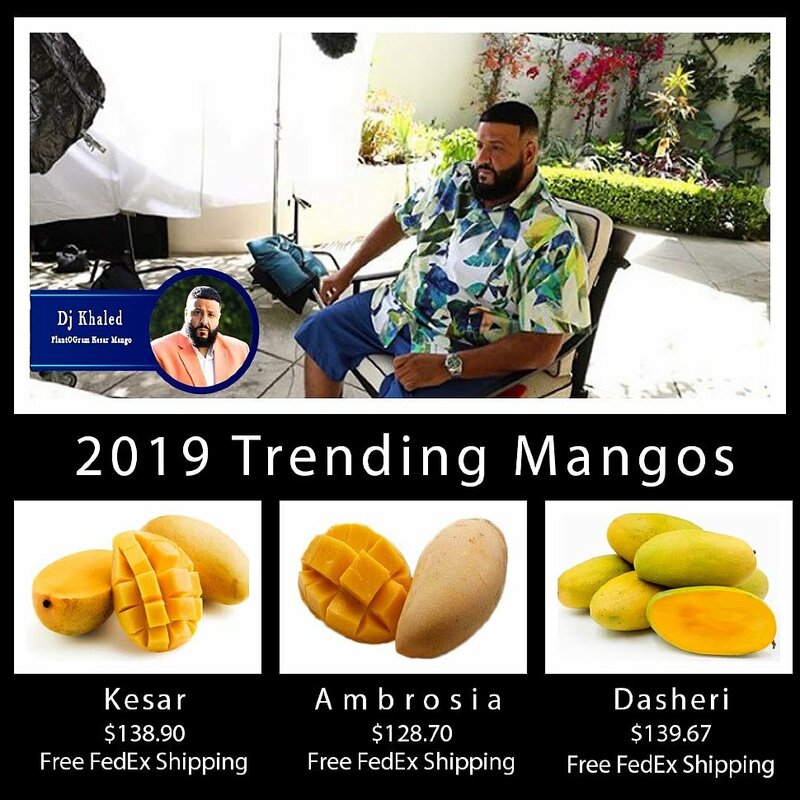 The multiple-time award winning DJ has his Kesar Mango tree planted right in his beautiful backyard. Elle King and Cotton Candy? It looks like Elle King has her new favorite PlantOGram! The star singer posted a photo on Instagram of her new Cotton Candy Mango Tree that fit in perfectly with her bevy of other plants. We think it makes a fine addition to the collection. 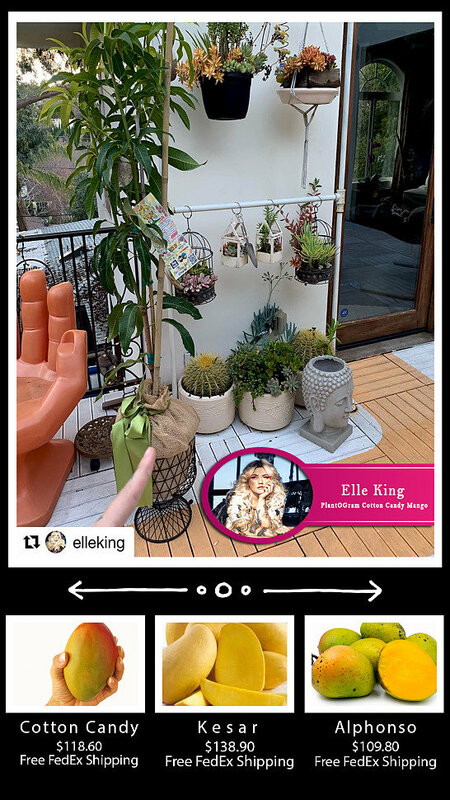 Thanks Elle for using PlantOGram and encouraging others to love your Mother Earth!